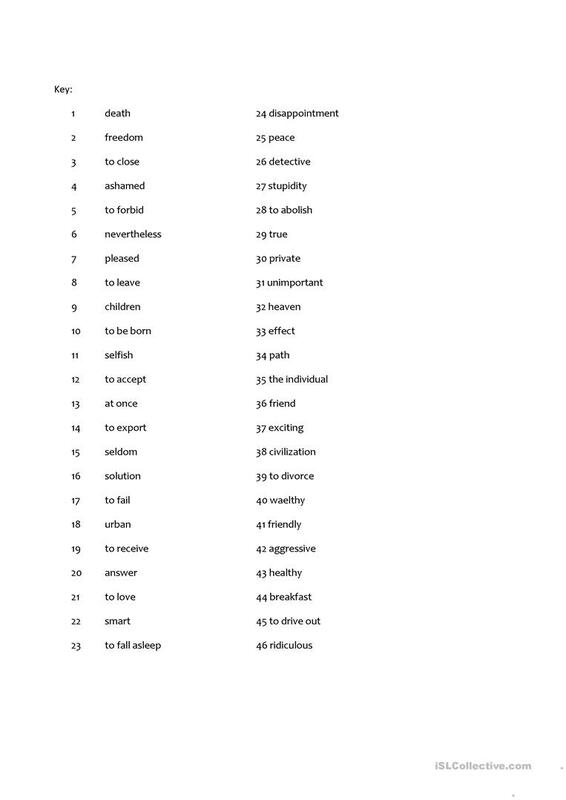 Find the correct opposites from the box for these words and write them down. This downloadable handout is intended for high school students at Intermediate (B1) and Upper-intermediate (B2) level. 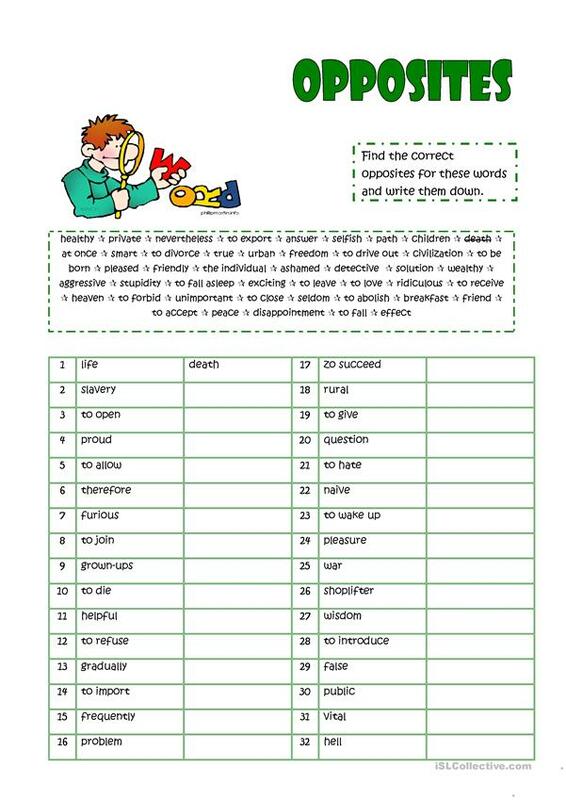 It is great for revising Adjectives and Adjectives: Opposites in English, and can be used for enhancing your class' Reading and Writing skills. It is focused on the vocabulary topic of Opposites. It includes the solutions, too.